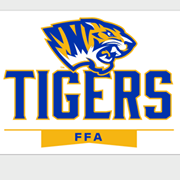 Newkirk was selected as a Top 10 premier chapter finalist in 2018 for an outstanding FFA activity with last year’s predator hunt. The chapter was also selected as a 3 Star chapter on the national level. There are more than 8,000 chapters nationwide and 300 chapters nationally were selected for national awards. In Oklahoma, 32 applications were selected for national awards and 16 were 3 Star level. Only three premier chapter finalists are from Oklahoma.